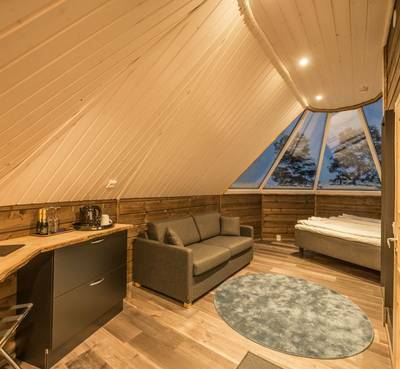 Wilderness Hotel Inari’s Aurora cabins are something else! 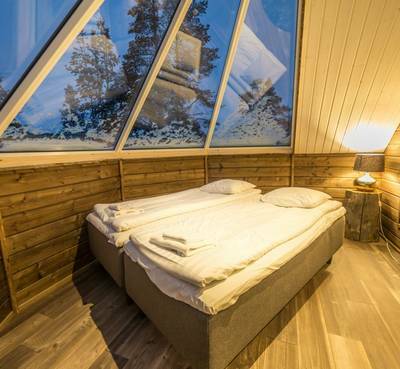 The big selling point here is the expansive thermal glass roof with unobstructed views of the northern skies. 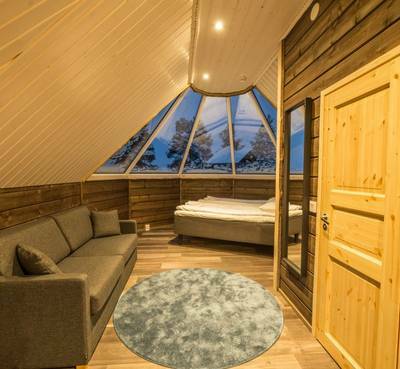 The thermal glass helps to provide an uninterrupted view (even at the lowest temperatures) which means you can actually lie back in bed and keep an eye open for the Aurora Borealis! 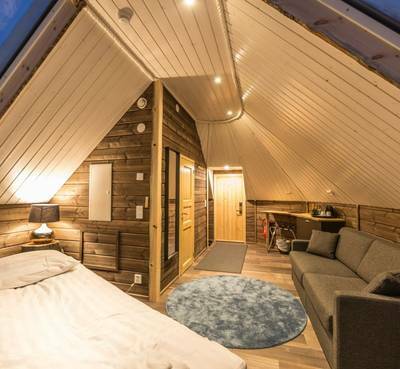 These cosy cabins have twin beds (which can be pushed together in most cases), a sofa or armchairs in the small living area and an en-suite shower room (toiletries and hairdryer are provided). It is also possible to add an extra bed or, with a bit of a squash and a squeeze, beds. 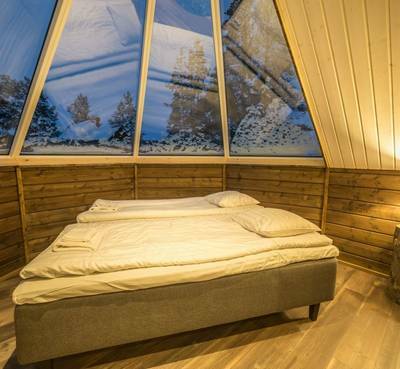 The cabins are 34m² in size. Coffee and tea making facilities are provided and free Wi-Fi is included so that you can keep checking those Aurora websites for updates. 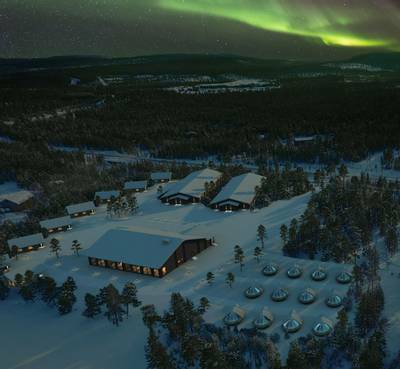 The cabins are between 20 and 50m from the main building. There are cabins with lake views and these do come at a supplement. Please ask one of our Travel Experts for a quote.